Director >> Steven Caple Jr.
"In the ring, you got rules. Outside, you got nothing. Life hits you with all these cheap shots." (Mike Will Made-It ver. 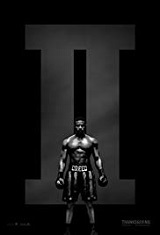 "Creed II: The Album"
3. "Yo? Is That a Yes?" 6. "You Think I'm Going to Lose"